Land of kings and palaces, full of glittering lakes, golden deserts, and vibrant villages: it’s no wonder that Rajasthan is considered one of India’s most romantic regions. Whether you’re planning a honeymoon, a Valentine’s Day trip, or simply want to treat yourself to a special time away, these lavish retreats – which range from historic palaces to luxury tented camps – capture romantic Rajasthan at its best. 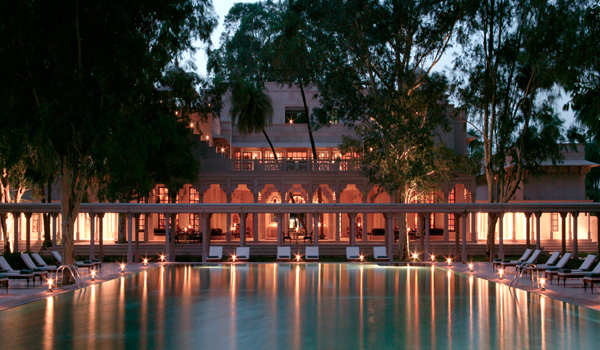 Though it’s an accessible, 90-minute drive from Jaipur, the resplendent Amanbagh feels like a distant oasis in the Rajasthani desert, surrounded only by the ruins of a 17th century heritage village and adjacent to Sariska Tiger Reserve. All the better for travellers after a romantic retreat: book one of the private pool pavilions – complete with individual plunge pool, courtyard, and green marble bathtub – for an unforgettable stay. Think camping can’t be romantic? Think again. 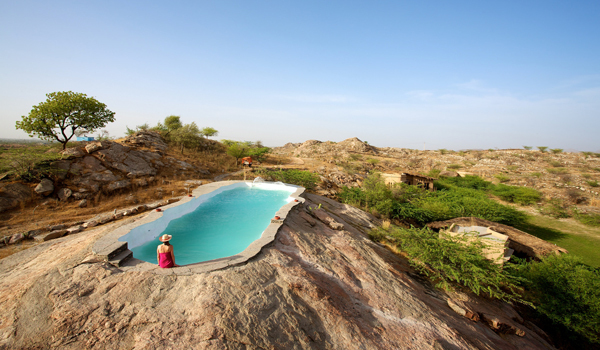 SUJÁN’s luxurious JAWAI tented camp offers adventure, proximity to nature (this tract of rural Rajasthan is frequented by leopards), and some truly idyllic amenities. 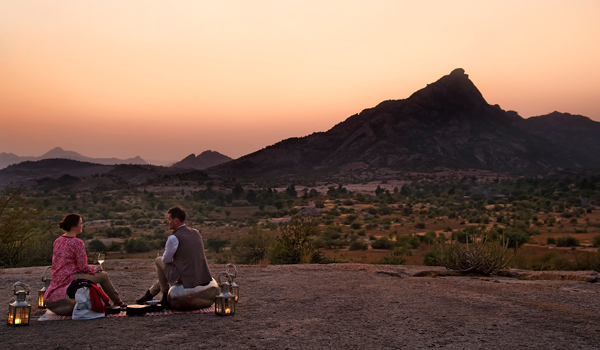 From dinners and glasses of wine next to the campfire to vintage jeep rides at sunset – and tents so lavish they could be hotel suites – JAWAI offers a passport to romantic Rajasthan. 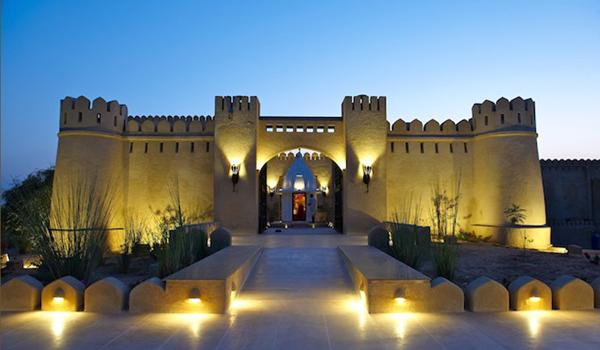 In the rolling hills of Rajasthan, near the Luni River and beyond the outskirts of Jodhpur, Mihir Garh appears like a vision. Although the resort was designed to resemble the state’s many centuries-old forts and palaces, it was actually constructed in 2009. Now, it’s the ideal destination for couples seeking romance; with only nine suites, quiet and privacy are guaranteed. Start the day with an al fresco breakfast, sign up for treatments at the Tulsi Spa, and in the evening, luxuriate in the open-air Jacuzzi. Udaipur – known as the “City of Lakes” or “Venice of the East” – is one of India’s most beautiful cities, and there’s no more romantic perspective on it than the one afforded by the Taj Lake Palace. 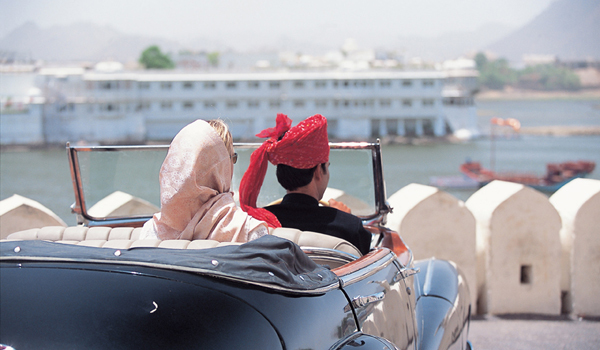 After all, the hotel is located on its own island in the middle of Lake Pichola, and occupies a white marble palace. From the moment you arrive via private boat – heralded by a shower of rose petals – you’re in for an enchanting experience. A ravishing location overlooking a 100 year-old royal dam. Accommodation in private tents offering 360-degree views, so you can admire the sunrise and sunset. Cloud-soft super king beds. A bar stocked with local Indian wines. 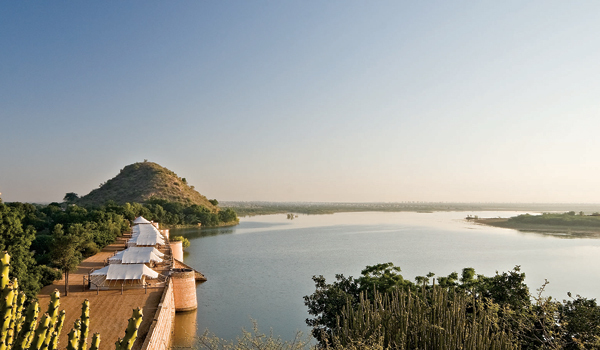 There’s no question that, when it comes to romantic Rajasthan, Chhatra Sagar offers up all the ingredients for a once-in-a-lifetime escape. Located on 32 acres of land that were once used as private hunting grounds by the region’s royal family, Lakshman Sagar hosts just 12 private cottages (each with its own plunge pool). When guests aren’t enjoying the seclusion, they can go for a sunset tour around the peacock-filled grounds, bask in the retreat’s spacious swimming pool, attend a star gazing session or otherwise drink in the languorous pace of life that makes this destination so special.